A crisis in leadership in Japan’s nuclear industry. Failing to make the right decision is easy to do. Regrettably, despite years of technological progress and experience, governments and energy companies continue to make such mistakes. Nevertheless, due to the increasing scale of investment and environmental hazards that the industry faces, the world energy leadership needs to do better than it has in the past. It is clear those events at Japan’s Fukushima Daiichi nuclear plant have as much to do with bad decision-making by the country’s energy leadership as it has to do with the massive sea quake that caused a tidal wave to hit the doomed nuclear power station. Examining the factors that contributed to the poor decision-making that led to disaster in Japan last year, one comes to the conclusion that the events transpired could have been substantially mitigated or even avoided by the country’s energy leadership. Here are some of the reasons that contributed to Japan’s unpreparedness for such a nuclear crisis and surprising negligence of nuclear power plant safety standards. These factors that contributed to the Fukushima incident range from internee sign fighting between the country’s government agencies (Ministry of Environment and its two regulatory agencies the Nuclear Safety Commission and Nuclear and Industrial Safety Agency) as well as the plant’s owners Tokyo Electric Power Co. Nor did it help that the power plant’s operator had been found to have ignored safety advice on several occasion from both domestic and international nuclear professionals such as the International Atomic Energy Agency (IAEA). It is clear from government reports that the leaderships of various stakeholders in the industry, including Japan’s regulatory agencies and nuclear power station operator TEPCO made serious errors which would have been avoided if the organisational culture was more accountable and open to inspection to not only Japan’s voters, but also the international community at large. For instance, there are several documented examples of the national regulatory agencies ignoring the advice of such world agencies such as the IAEA. Reports suggest that the regulatory system was suffering from turf wars and intra-agency rivalries between regulatory agencies and departments of government ministries. Nor did it help that TEPCO falsified safety records and ignored the advice given to it by both the domestic regulators and the International energy agency revealed in a report by Japan’s Independent Investigation Commission. In this report, it was revealed that Japanese electric power companies had since 1980, been unwilling to cooperate with the IAEA ‘s operational safety review of the country’s power plants. This review known as the Operational Safety Review Team (OSART), is where a team of experts conduct an in-depth review of operational safety performance at a nuclear power plant by checking the factors affecting safety management and personal performance. In 1992, this operational safety review of Fukushima made a number of recommendations which Tokyo Electric Power Co, subsequently dismissed. In 2002, it was revealed that TEPCO had falsified 29 cases of safety repair records regarding cracks found at several of its nuclear reactors, including those at Fukushima Daiichi in the late 1980s and 90s. Despite this, the power company declined the offer by the IAEA to institute a fact-finding process to improve safety at the plant concerned. It was announced by the Chief Executive at TEPCO, that the proposed regulations were unrealistically strict and not in accordance with actual operational requirements. Nor did it help that the entire nuclear community of the country was suffering from isolationist and secrecy tendencies, which were not helped by delusions that the country’s nuclear power sector was the best regulated, most advanced and managed industry in the world. The perception amongst many Japanese nuclear professionals was there was no need for Japan to learn from the rest of the world. In a sense Japan’s nuclear community was suffering from classic Galapagos Island syndrome symptoms. Much to the surprise of these professionals the events at Fukushima were a wake-up call; it became clear from various investigations that Japan’s nuclear power sector was rotten to the core. It became clear that the industry was totally unprepared for the crisis when it occurred and was not able to provide solutions to such a crisis. It did not help that many of those civil servants working in nuclear regulation and safety management, did not have the opportunity to develop long-term expertise in the subject, because of the practice of regularly rotating civil servants to other government ministries. In addition, it did not help that findings found that the regulators were not truly independent of the power companies they were supervising. Unfortunately, breaking out of the Galapagos syndrome for Japan’s nuclear sector is going to prove a hard task. Japan will need the help of the international community to create a new decision making energy leadership culture so that it equips it with the tools to avoid such complacency and a repeat of such disastrous mistakes. There are plans to establish a new, powerful nuclear safety agency this summer that will replace the old agencies and ministerial departments. Unfortunately, many of the new staff for this new agency will come from the failed organisations that contributed to Japan’s nuclear disaster. However, perhaps the best way to revolutionise Japan’s nuclear community is if it imports new leadership and experts from abroad, until Japan has trained up the necessary recruits in the standards of the world nuclear community. Unfortunately, foreign CEO’s leading Japanese companies are rare and tend only to stay a short time due to inherent organisational resistance to change. In addition, Japan, the country finds very difficult to change its organisational culture, given the extremely conservative, traditional nature of its society. This is despite its appearance as one of the world’s most technologically advanced nations. This can be seen by its failure to implement the radical changes required to break the country out of economic stagnation in recent years. Japan’s government wants to restart two nuclear plants to avert summer power shortages this summer, but public skepticism of nuclear safety and the industry remains high. Before March 2011, Japan depended for 30% of its power from nuclear power plants. Unless Japan can make the necessary changes it is unlikely there will be public support for the country’s nuclear power stations to start operating again. Instead the country’s energy leadership will have to continue to depend on expensive renewables and imports of gas from Australia to fuel its power sector in order to maintain energy security. 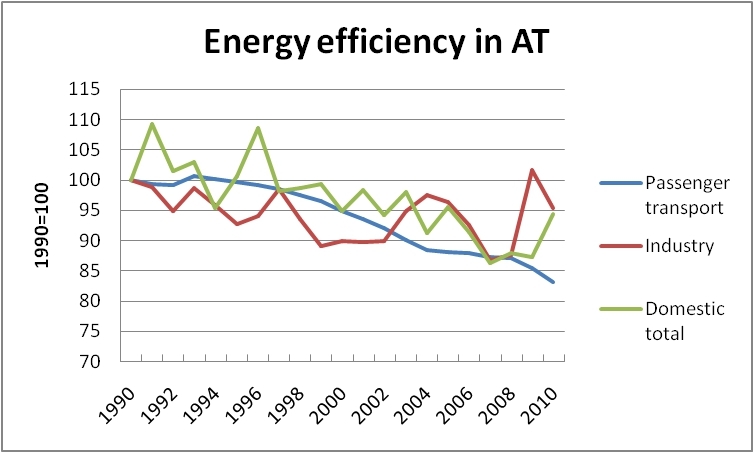 Is Britain’s energy leadership failing? National energy leadership requires clear policy around encouraging investment to manage risk and development, and a healthy balance between the market, and the consumer (taxpayer)? The question of energy and especially its price has always been a politically sensitive issue. The question, is whether Britain’s energy policy is failing? Many would suggest that significant parts of it already have. In fact, until recently, the United Kingdom did not enjoy an overarching energy policy framework; instead it depended on guidance from European energy policies for much of the day-to-day implementation of operational issues. In a sense, what there was of a discernible British energy policy was merely an incomplete jigsaw. What is certainly clear is that successive British governments have failed to demonstrate “responsible” energy leadership. Britain can certainly be proud of its successes largely due to the result of responsible leadership back in Brussels and not here in the UK. Such successes include the ban on old-style light bulbs, the backing of the use of biofuels in petrol, the introduction of carbon trading, the scrapping of ageing coal power stations, together with the introduction of smart meters in homes and energy-efficiency labels on domestic electrical goods. In addition, the introduction of more energy efficient domestic goods has certainly benefited the consumer’s pocket and in the case of cars, has reduced pollution in our cities. However, despite these advances there are still grumbles, not only from consumers, but major players in the energy market. From an energy security perspective, the actions taken to encourage investment in renewables, has only had a marginal impact on slowing down the UK’s reliance on imported fossil fuels such as coal, oil and gas . [i] In 2010, the cost of energy imports contributed to around 15% of the UK’s then trade deficit. University of Lancaster’s environmental researcher Oluwabamise Afolabi, reports that the DTI in 2007 projected that UK natural gas imports will increase to 70% by 2017 and imported coal could be meeting up to 75% of the UK coal needs by 2020. Certainly part of the reason is that the EU energy policies have not gone far enough in the implementation of its ambitions for a single energy market for the continent, whilst we do have a single market for bananas! A single market for energy would certainly help meet many of Europe’s energy security concerns and hopefully facilitate greater competition Europe-wide. 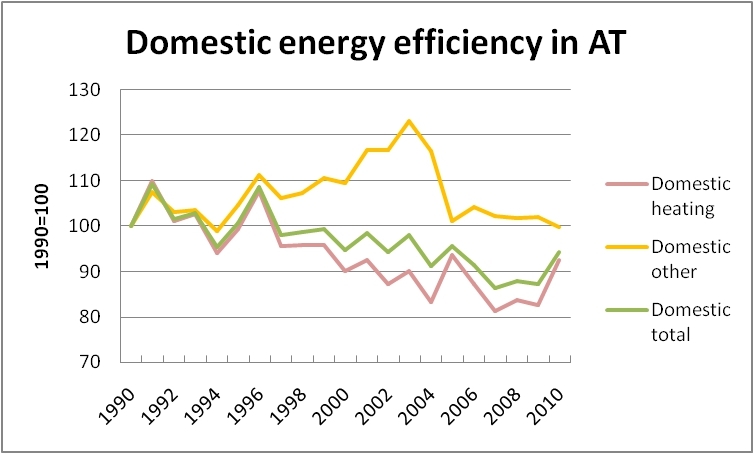 In the UK, there is a serious need for more energy suppliers actively competing in the market. At present, for instance the gas and electricity market is dominated by six major players, so it is not surprising we suffer high power prices. Nevertheless, the current government has preserved the vacuum in clear policy ownership and focused leadership left by its Labour government predecessor. This is demonstrated by the recent fiasco of the U-turn over feed-in tariffs  [ii] for solar power  [iii] and the failure to encourage investment in insulation for buildings with solid walls. The government’s decisions over feed-in tariffs plunged the rapidly growing job-creating solar power installation industry into crisis at a time of high unemployment. It is clear that senior policymakers made a decision without clearly understanding the full impact it would have on Britain’s solar power sector. There seems to be a lack of leadership being exhibited by ministers on energy policy by many in the governing coalition. We are seeing, increasing opposition in Parliament by Conservative MPs, but also by members of the public towards the government’s ambitious support for new wind power projects throughout the country. In January, 101 Tory MPs wrote to Mr Cameron, calling for onshore wind farms subsidies to be “dramatically cut” – well beyond the 10 per cent reductions already in the pipeline. In addition, there have been protests about new renewable energy projects across the UK, together with concerns about the increasing number of people being plunged into energy poverty due to the shambolic energy taxes and subsidy system. Overall, current subsidies paid out to renewable energy producer’s amounted to some Â£1.5 billion a year, of which Â£400 million was given to companies operating onshore wind farms, reports the Telegraph in June 2012. However, DECC reports that renewable energy subsidies are costing each British household around Â£103 per year and between 2004 and 2010 electricity prices rose by 60% and gas bills by 90%, noted DECC. At a strategic level investors are increasingly concerned about the sense of drift on energy policy towards new investment by the current government towards various types of generating technology, many large-scale investors are complaining that they are not getting sufficient encouragement to move ahead on meeting the government’s ambitious programme to replace time-expired coal and nuclear power stations with new generating capacity from both traditional and new generating technologies. It also appears that the government appears to be failing to identify and manage risks and plan for such unforeseen events as natural disasters, supply disruptions and wars. There appears to be a lack of long term preparation against supply disruption, this can be seen from the following issues. At present, we have limited interconnector capacity amounting to just under 5% of UK generating capacity, is made up of high voltage undersea power cables linking Britain with France, Belgium and Holland. For energy security reasons the UK needs to double such capacity. Once completed Britain will be better able to balance shortfalls in renewable generation here with imports from elsewhere in Europe. Then there is the question of gas security, Britain only has 3.3 bcm, equivant to 14 days of gas storage capacity available in theory, reports DECC, and much of that is reserved for storage capacity for other nations in Europe. Unfortunately, there are no reciprocity agreements to such storage capacity that is located in the UK with foreign owned companies at present; I was surprised to learn from an energy trader recently. Though there are ambitious proposals to increase gas storage capacity, given sufficient government support. Unlike France and Germany, which have at least one month gas storage capacity? Currently Britain imports 24% of its gas from Qatar. This apparent lack of direction and foresight can also be seen in the relatively low large-scale electricity storage capacity of only 20 GW hours: perhaps sufficient to replace current UK wind generating capacity for just two hours if the wind failed to blow. In addition, unlike several other European countries Britain has failed to move ahead with pilot carbon capture projects. The realisation of carbon capture technology could aid Britain in its ambitions to further diversify its current sources energy, as coal is available worldwide in easy to reach commercial quantities including Poland, USA , South Africa and Australia. There are increasing fears that Britain could face power shortages by end of the decade, unless urgent action is taken to construct sufficient new generating capacity to meet growing demand. I would hate to think Britain consumers will face in the future the prospect of regular power cuts, as is the case of Nigeria today. We are also seeing a lack of realism, amongst policymakers into the impact of their policies. One of Europe’s and U.K.’s ambitions is to reduce reliance on gas imports. Unfortunately, the government’s neglect of creating a proper framework for reducing gas usage for power generation purposes is encouraging a reliance on this fuel source to back up for the variability of renewables. Which could raise interesting energy supply and security concerns for large scale consumers such as hospitals and railways that rely on 24/7 energy supplies. Since 2004, the UK has been a net importer of gas, as domestic production has declined and the country’s power sector has switched to gas for power generation purposes  . Since the winter of 2009, the UK has depended for half its gas needs on imports. Current government policy neglect is encouraging reliance on imported gas to remain at present levels whether imported from Norway, Russia, Nigeria or Qatar. As Britain’s reliance on renewables increases we are going to see imported gas-for-power generation purposes providing a backup to wind energy projects when the wind fails to blow, because Britain has not invested enough in sufficient gas and electricity storage capacity and expansion of its interconnection links with the rest of Europe. Overall, Britain’s energy policy is in danger of suffering from short term thinking, which might be building up new problems for the future that might prove expensive to solve. In other areas, there is much to be proud of, but it is clear much more needs to be done. In addition, there has to be greater dialogue between all stakeholders involved in energy policy so that Britain develops an affordable, reliable and secure energy sector that meets our economic ambitions for growth. However, the government needs to demonstrate responsible energy leadership and move actively forward on implementing many of its ambitions quickly, such as starting construction on new nuclear power stations, stop dithering on proposed coal and carbon capture projects and encourage investment in new energy storage capacity. Nevertheless, the emphasis on energy policy should be rebalanced more in favour of the consumer and taxpayer, by enabling users near such projects to directly benefit from the profits of such schemes. [i] DECC aims for at least 15% of UK energy mix to come from renewable sources by 2020 if current levels of investment are maintained. [ii] A feed-in tariff (FIT, standard offer contract or renewable energy payments) is a policy mechanism designed to accelerate investment in renewable energy technologies. It achieves this by offering long-term contracts to renewable energy producers, such as home owners, it is typically based on the cost of generation of each technology. Technologies such as wind power, for instance, are awarded a lower per-kWh price, while technologies such as solar PV and tidal power are offered a higher price, reflecting higher costs. [iii] Solar power is the conversion of sunlight into electricity, either directly using photovoltaic (PV), or indirectly using concentrated solar power (CSP). In 2010, 34 per cent of natural gas demand (371 TWh) was for electricity generation reports the DTI.